Dream in color at The Alexander – a wedding venue built to inspire with the power of art and carry the day with the power of love. 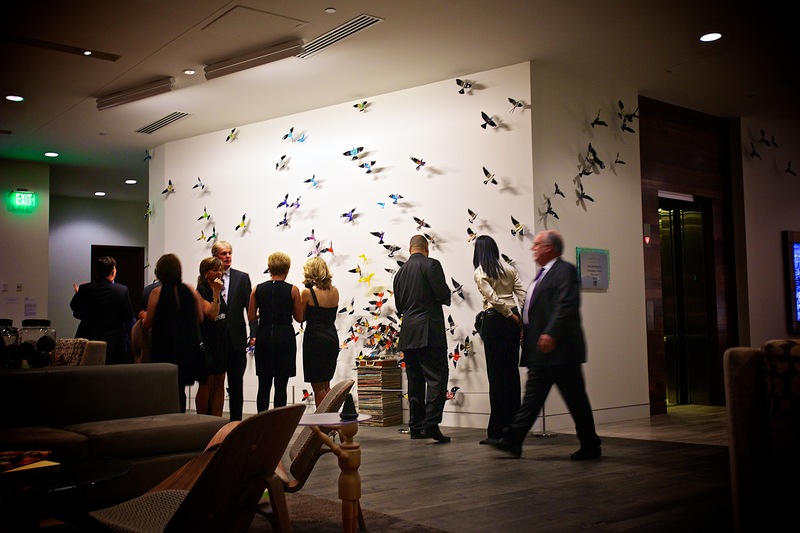 Here, two become one in a contemporary setting, featuring modern event spaces, floor-to-ceiling windows, intimate terraces and downtown Indianapolis’ only premier outdoor event venue. The result is an art-centric backdrop that serves as a canvas for your most unforgettable memories. And the sort of wedding receptions that people speak fondly of for years. So don’t wait. The Alexander is the answer you’ve been searching for. Find out more about wedding packages and services here. I love CityWay because it is an excellent location and everyone who lives and works here is really great! We also have some awesome events every month that the cool ladies on the staff at CityWay put together. My favorite event was going to Fountain Square and playing duck pin bowling and volunteering to clean up Indy. We love CityWay for its central location, great amenities and very helpful staff. Living here, we can enjoy all that downtown Indy has to offer, in addition to the resident events organized by CityWay. We love all the dining out options we have right at our doorstep and are excited about new additions in the future. We each love CityWay for the wonderful onsite amenities, the staff members that are so patient and helped us get settled so quickly when we moved in this past summer, and last but not least, the landscaping and design of the property makes the flow of life fun and easy. Location, location, location. CityWay’s proximity to Fountain Square, Mass Ave, Lucas Oil Stadium and Banker’s Life Fieldhouse can’t be beat! I’ve also enjoyed getting to know other residents through CityWay’s social events. I have lived here for a year now and will be renewing my lease. The staff has always been courteous and it is obvious that they try hard to create a community feel. My mom visited over the weekend and was very impressed by the property. She commented several times about how well the grounds were maintained and the overall cleanliness of the common areas, hallways, pool, etc. It helped remind me that I may have come to take these things for granted. Love the location. I feel like it is a great tucked away community still close to everything. I like that I am able to walk downtown, Fountain Square, Bankers Life, etc. I also liked this spot for my dog too. There is a dog park on site and lots of greenery and outdoor space for a downtown location. It has been great at move in. You really can't beat the location and amenities. The staff has been hospitable, courteous and timely. The maintenance workers have been just as courteous and personable. Overall, I can not wait to continue living in the great community for a lengthy amount of time. The apartments are lovely, a great combination of home-y and industrial, with brick feature walls and exposed ductwork. Office staff are very courteous and always seem organized, I have never had an issue at all. Maintenance staff are prompt and courteous, always a polite greeting when passed on the grounds. The grounds always look well kept and all facilities are clean and useful.